When I meet someone especially humble, kind, tolerant and compassionate with a gift for lighthearted but irreverent humor I know–with fairly good certainty–that I’ve met someone who has traveled a difficult path. 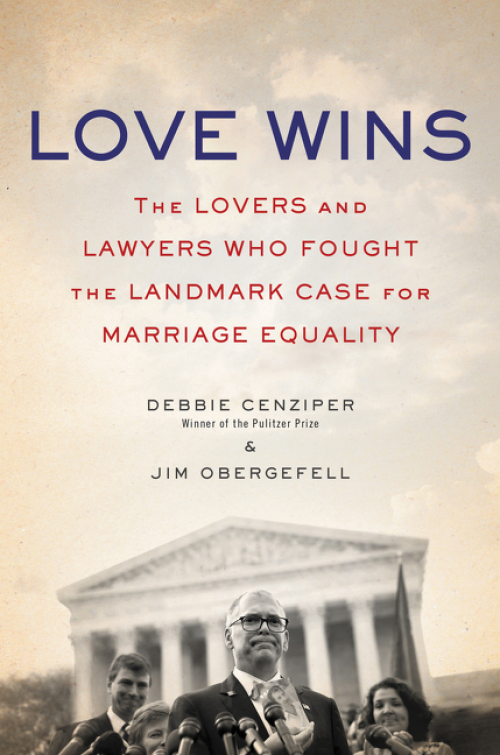 Jim Obergefell, one-half of the couple featured in this book is just such a person. This is a book for every human who has faced discrimination or even just disdain for not conforming to the “norm” – whatever we think that is. More so, it’s a book for everyone else. “The more we can learn to be with people who think differently, the more we can be together” is a powerful and appropriate message shared at a leadership breakfast I attended this morning. Add this one to your book group list. And go see the movie when it comes out.